Could one product really have that many uses? Could you really use the same product to wash your face and your dishes? Well yes, the Dr. Bronner's 18-in-1 Pure-Castile Soap*, £5.50 is for just that. Now I have to admit, I haven't tested it on all 18 recommended uses, but I just had to write about this incredible multi-tasker anyway. If you're like me, then you'll probably have heard about this infamous product in the blogosphere for washing your makeup brushes - and I have to admit that's why I got my hands on it. It's budget friendly and I always thought that if it really was as good as everyone said it was then I needed to get my hands on it. This is perfect for washing my brushes with. The liquid soap is great for giving my brushes a deep cleanse and gets all of the dirt and grime out with ease. It also leaves them smelling beautiful with the super relaxing lavender scent. Though if you're not a lavender fan there are plenty of other scents including Almond, Rose and Peppermint to name a few. But what was it that got me completely hooked? I was planning on writing this blog post about my new favourite budget makeup brush cleanser but after a little bit of googling and research I realised that it was so much more than that. This soap really can do it all and is the perfect back up to have in the house just in case you run out of your other usual products. 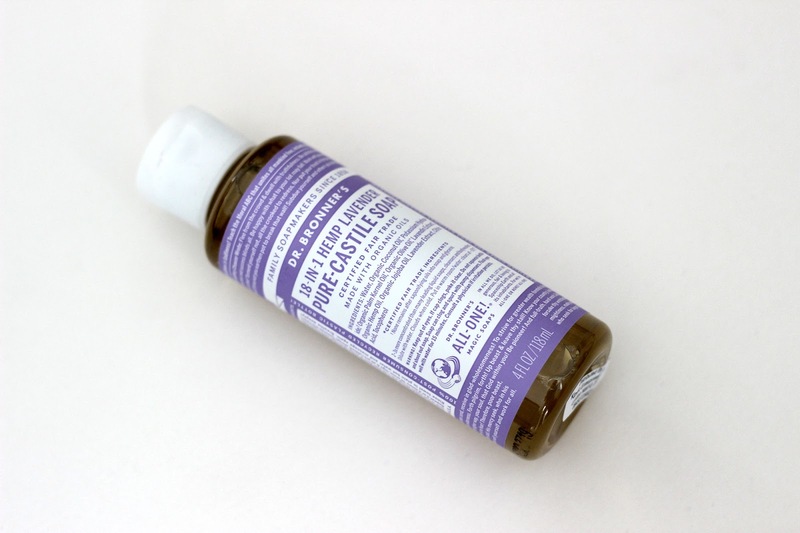 What do you use your Dr. Bronner's liquid soap for?